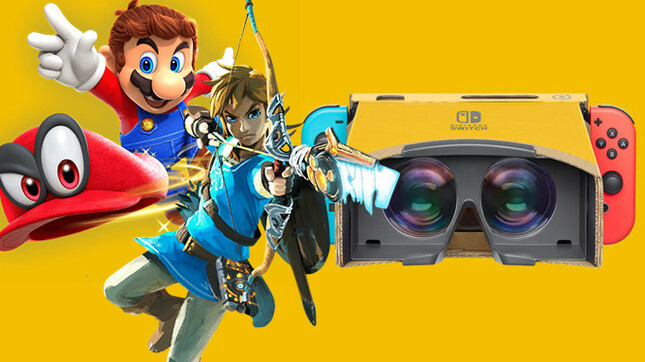 Two of the best games available on the Nintendo Switch, Super Mario Odyssey and The Legend of Zelda: Breath of the Wild are being updated with support for Labo VR. The update for Odyssey will feature limited functionality in the form of three new mini-missions centered around collecting coins and music notes in the Cap, Seaside and Luncheon Kingdoms. Breath of the Wild will see a more significant update as it looks like the entire game will be playable with the Labo VR unit. Cutscenes will be unaffected and will remain the same, but players will now be able to toggle the VR feature on and off in the settings menu. Players will be able to load their existing saves, so thankfully won't have to start those epic hundred plus hour playthroughs from the beginning, although I'm keen for any reason to experience that magical game again. Labo VR is launching next week on April 12 with both games being updated on April 25, unlocking Labo support. Will you be checking out Labo VR when it's released?